Everything you ever wanted in a time management app. Industry-savvy time tracking. One-click invoicing. Customizable reports. Seamless QuickBooks integration. "BigTime software brings big firm time keeping technology to small firms"
We are a new boutique firm specialized in Forensic Accounting in the Montreal area. We have reviewed a number of timekeeping solutions for our firm and decided to go with BigTime Software. The capabilities of this cloud-based solution surpass anything we had imagined. In fact, it is more sophisticated and easy to use than anything I have seen so far in large Big Four Accounting firms. In addition, BigTime integrates well with Quick Books Online and allows us to issue WIP reports, invoices and manage engagement budgets. In short, we are very happy with our choice. Not much! BigTime is quite easy to figure out and if you are stuck anywhere, you can chat immediately with a support staff and solve the problem right there and then. This is excellent. This is a very compelling solution for small professional firms. BigTime's main function is to manage our engagements, prepare engagement budgets, keep track of the chargeable hours of our professionals, issue WIP reports and invoices. Since it is a cloud-based solution, we can access BigTime from our computers, tablets, and smartphones at any time, anywhere. The main benefit for a small firm like ours is to gain immediate access to a sophisticated solution at a very affordable price and avoid having to spend a fortune on R&D to develop our own solution. "Easy & intuitive to use"
The previous psa software we had was beyond laborious to use, whereas BigTime's UI is clean, well thought out, and much easier to navigate. Creating and sending invoices is a snap, creating reports is simple and my users are no longer calling incessantly because they cannot navigate the platform. I'd like to see more notification options (specifically to remind users to enter time, and including the name of the submitter when receiving submitted timesheets for review) and some extension in the fields available for use in reporting (for example, ability to pull in timesheet fields into a report from invoicing). The platform is so simple to use for both system admins and users. Our previous software was clunky and their documentation so out dated that it made the many functions they had obsolete as nobody could understand how to use them. This meant that while we would have resources enter time, the admin could never figure out how to create/send invoices, so we created everything manually. Additionally, since invoices weren't sent via the software, we could not track payments within it. I've been able to stop using tedious spreadsheets to track invoices and payments, and the Salesforce integration means I never forget to enter new projects into my PSA because they are created automatically. One of the more flexible applications for time tracking and billing. Very robust with many features others do not have. The ability to customize projects, phases, tasks, and invoice formats is the best I've seen. The employees took to the time tracking feature very quickly and had no trouble switching from another application. I haven't yet found anything that I would say is a drawback. We've been using BT for only a couple of months now and still learning how to fine tune the set up and usage, so there are a few moments of frustration. But the support team is extremely responsive and very helpful. They've quickly and easily resolved any issues that have arisen. A rather robust application that handles more than just time tracking and invoice preparation. Have patience when implementing - it is quite quick and relatively easy to transition. Don't hesitate to use the support team! They are very responsive and knowledgeable! Our former billing process was clunky and involved several applications to complete, which was time consuming and fraught with error. Big Time greatly improves the process, as the time tracking, expense tracking, and invoicing is consolidated, saving us lots of time each month. The QuickBooks integration is a huge bonus-easy and I like that we can cherry-pick what gets synced. "Really User Friendly with Lots of Functionality!" Every component is integrated well, making it very easy to use. Having an app makes it very easy for employees who travel often. They give great upfront information when deciding if the product is right for you and the implementation/support team is also very helpful. There are plenty of resources to use if you ever have any questions. Can't think of any dislikes. Only recommendation I could think of is to be able to have the functionality for required comments only on specific projects. Easy for all users, from time entering staff, project managers, and administrators. BigTime is making it much easier for our employees to enter time and expenses and for project managers to track their projects. The interface is very user friendly yet the functionality is robust to get useful reports and do budget and project tracking. "Fast, feature fit software for timesheet management and invoice... with exceptional support service"
The feature set to BigTime is 99% perfect. The software is fast and pretty easy to learn and adopt as an organization. What sets them apart is their terrific customer support and onboarding. Brannon Hollingsworth from BigTime has worked with us from the beginning and helped us do all the onboarding and several months later was still right there to help us get into advanced reporting that is turning out to be critical intelligence for our business. There are a few subtle feature requests we have submitted. It is too soon to see if they will be incorporated or not. Definitely sign up and complete both of the free training and onboarding sessions. Brannon was excellent in knowledge and patience getting us through the initial onboarding and then the advanced reporting setup. Timesheet entry and management, project and customer budgets, invoicing. "BigTime is a great Professional Services Automation Program!" I like the BigTime platform, it is very user friendly. I can customize to fit our company's exact needs by utilizing the professional services automation. Our company specifically needed to attach copies of receipts to our submitted expenses and this works very well. Other company users find it simple to use. When I rarely do have a question, I get a quick response. Brannon Hollingsworth is very patient and great to work with during setup and training. I really like the availability and willingness to get help when needed, and can be done through chat, phone calls or emails. The custom reports are not as simple to figure out, otherwise I have no dislikes. Program works very well for expense and time management for service businesses. I have found BigTime to be a huge time saver, makes our company able to track expenses (with attached pdf receipts) and has the ability to track time with budgeting, which turns into money and time savings. It is a great professional services automation program, and works so much better than our old program. It is a well thought out program that was obviously designed by those who knew the needs of service businesses. I can see many benefits for a variety of businesses looking to improve their efficiency and quality of reporting. "BigTime IQ is worth the investment!" The user interface is much more user friendly in BigTime IQ. It saves a great deal of time and also has much more functionality. Time and expense management, budget oversight, invoicing, QuickBooks integration, reporting, and resource allocation are just a few of the functions BigTime can do. The ability to sync QuickBooks with BigTime makes our Accounts Receivable process run smoothly. The reporting functionality is so easy to use and customize. The support team is also very quick to respond whenever I have an issue. Happy with the choice to covert from BigTime Enterprise to BigTime IQ. The biggest issue I am having with BigTime IQ is the loss of the "Invoice Date" field. There is only a "draft date" and "sent date" field. In BigTime Enterprise, there was an option to select an Invoice Date. We are a consulting services company that invoices primarily off of time and expenses. BigTime is perfect for this purpose. We are able to seamlessly enter, approve, and bill time and expenses to customers. We also use BigTime for budget management, staff information, invoicing, QuickBooks integration. There are so many benefits to using BigTime. To name a few: it makes the invoicing and accounts receivable process run almost perfectly. We didn't have much oversight on budgets before using IQ, and now we are able to stay on time and on budget. BigTime provides excellent customer service for an easy to use product. We rarely run into problems, but when we do, the customer service has been prompt and professional. The product is constantly evolving and it easy for end users. I personally haven't found much to dislike with BigTime. My only complaint is the time it takes to run some reports, but it's my understanding this is being addressed with newer versions. As an IT professional, I provide support to our end users. I've been very impressed with BigTime's technical support. I recently had a problem installing the BigTime monitor, which links Quickbooks with BigTime. After searching the extensive Knowledge Base on BigTime's support site, I decided I needed ab bit more hands on help. Nancy S. responded to my support request quickly and with the required information to complete the task. When I ran into a challenge, she scheduled a call with me and we worked through the issue. Nancy was very friendly, courteous, and professional. My problem was solved quickly and efficiently. This level of responsiveness and customer service is far superior to many other vendors. "BigTime Time Management and Billing software"
The ease of use, the phase budget tracking, the ability for field staff to capture time and expenses on the go! Knowledge base and expertise by support staff including online chat, report building, information access, metrics, remote use, PDF styles that can be tailored for each client as necessary. No much really, it has automated phase billing and tracking and improved accuracy. I prefer to chat for quick support but this feature is not always available. I sometimes use email. Additional Number of users, Reporting, Accounting integration with QuickBooks, remote use, time tracking, Knowledge base and expertise by support staff including online chat, report building, information access, metrics, remote use, PDF styles that can be tailored for each client as necessary. "Great SAAS with great support!" The SAAS continues to grow its features and loves hearing suggestions from the clients. The support was wonderful. I have contacted them through a chat for an hour and answered all my questions. The same goes with email support. I contacted them at least with 20 different emails, and they responded each time. One really great thing about the user permission is being able to create a custom permissions group to attach to users on the fly. No documentation regarding when and where the information is synced between QBO and BT. I also wish there was more documentation regarding user permissions. I have been having quite a bit of lag time within the jobs so that could be sped up quite a bit. I think the invoicing approval workflow already needs to be implemented. More so because I'm just completely impatient and that is something that is really a work-around we are dealing with for this particular client, right now. Getting a client out of using Access for time tracking. Automation between QBO and BT is making the client's life a lot easier. I do love the fact that Big Time gives the ability to use as a project management tool and accounting tool. This isn't common. Most SAAS just integrate with partners and call it good. "Major improvement over our current system"
We developed an interest in BigTime because we had previously been managing time entry within an Excel spreadsheet. This worked fine initially, but as our team and our number of clients began to grow, this became increasingly difficult to manage. BigTime has made it significantly easier to keep track of our consultants' time, and makes it very easy to summarize hours and expenses for invoicing purposes. "Top 10 Time Tracking Software"
I would strongly recommend any company that needs to track time and manage products to consider BigTime and if you are using QuickBooks I would say it might be the best tool out there. We are solving for project management and time tracking. Also, we are able to track utilization and project profitability much easier than before. "Friendly and helpful support, great product for automation. " Reporting features - reports are easy to use, ability to create reports. Import to Quick books is simple. I like that you can click not billable and then when you import to quickbooks it does not bill the client for that time. Can be a little faster, integration between QB can be slow, the invoicing detail does not include dates from timecards but from my understanding, the new IQ Pro will fix that. We are moving over to IQ Pro in the next few weeks and excited to fix some of the issues we have with the old system. Automation, time keeping. Benefits are being able to pull from one database to complete payroll and billing, as well as tracking progress and billables. I am sure I will see many more benefits moving over to the new IQ Pro, such as mobile usage, easier use on the expense reporting and ability to upload the receipts right to their phones, as well as easier time adding new projects, jobs, and make it a more streamlined process. I am also looking forward to being able to create rules around overtime, as well as customizing and directly invoicing from Bigtime, rather than from QB. This will allow me to save time pulling additional backup detail because it will be included on the invoice from Bigtime automatically. I don't think i have any complaints. Everything is so easy! I am able to pull Realization/Utilization in seconds. This is HUGE!! Our old system would take us hours to pull a variety of reports into one big spreadsheet. Not anymore! It is also a huge that the system keeps track of billable hours in an easy to read format. There is no more wondering or doubting any of the information that it pulls. Since we moved to BigTime for timekeeping and expense reporting, our operations have run much more smoothly and we have improved our compliance posture through timely posting of time and expenses to QuickBooks. The integration with QuickBooks is excellent - the bidirectional synchronization has greatly reduced the administrative burden of manually entering customers, jobs, expense types, and labor categories in timekeeping system - any changes we make in QuickBooks are quickly reflected in BigTime. From time to time the synchronization with Intuit fails, but it's difficult to say if that is a problem with Intuit of BigTime. Regardless, it's easy to restore the synchronization. I would also like to see more alerting, such as a notification that a timesheet was submitted for approval or was not entered or submitted when a pay period ends. It is easy to set up, easy to administer, and the integration with QuickBooks is very robust. We needed a way to directly import/post time and expense data into our accounting system (QuickBooks). Prior to using BigTime, we did a manual import monthly, which was prone to errors and affected our ability to generate accurate and timely reports. Now we post data no less often then weekly, with no errors and we can generate up-to-date reports. "So far so good - great customer service"
BigTime appears to possess the type of flexibility that our company really needs in order to track our project budgets and time. We're excited to dig in to the capabilities of the software and make our process more efficient. The customer service experience so far has been stellar, from the sales experience with Ty, who was informative and communicative but not pushy, to the onboard session with Brannon, who engaged our group well and covered a lot of material in a short amount of time. The customer service experience has been a big draw as it has instilled confidence in the product, which is in itself a bit of an investment for our company not just in terms of money but also in terms of time and resources given to changing over our system. We are just getting started using BigTime, so it's hard to say at this point what isn't working well for us. We need to track our time against our project budgets to improve efficiency. We're excited to explore the power functionality of the program. "I'm extremely pleased with our switch to BigTime Software! " Coming from an outdated time & expense tracking system the ease of BigTime has been great for our needs. It is so user friendly, and the support team has been great about responding to all my questions and training. Most fields are customizable which is great, but when you run into one that you can't customize (more specifically on the invoice templates themselves) it makes it harder. It really works for us. If you need Time & expense tracking & job cost and use Quickbooks I really believe this software is great. It is also hundreds of dollars cheaper than our old software - the ease of online accessibility is great to. We needed a real time - time & expense tracking software that integrates with Quickbooks. We have 25+ contractors out in the field every week that we have been manually tracking budgets & entering time & expense each week that just became to much of a task to stay up on. BigTime has been the solution to our old & outdated T&E tracking software. Very happy about this switch! BigTime lets me customize time entry for my consultants, and has features such as "contractor" to restrict access to the system when needed. I can get everything I need to bill my clients from my consultants, and only allow them to see what I want in the system. I am a mac user and it does not cause any issues. There have only been a few glitches in the years I've used BigTime, I don't typically run into a lot of issues. BigTime has many great features. Sometimes it feels overwhelming to adopt them all, but working with their implementation and support team makes it doable and really helped me use the features that have been incredibly helpful to my work. Spend time learning how to customize reports - it is great! BigTime allows me to organize and report on time and expenses my consultants need to bill to clients. "Dynamic Timekeeping & Budgeting for Unique Needs"
BigTime has been the only solution that has met all our company's unique expectations for a timekeeping and budget tracking solution. It meets all the standard feature expectations - setting up a project with groups and subtasks, assigning teams, dynamic timekeeping view, etc. - but really won us over with the advanced features that were necessary for our operations. This included being able to set custom rates per person per project (and even per task, when needed! ), the ability to assign budgets at the task level, flexible permission groups for various user types (regarding feature access, report access, etc. ), and an allocation option to allow us to track our project spending against monthly expectations. The reporting is also extremely robust, which has benefited all our teams with unique reporting functions for their individual needs. Even better, all these features lie in the hands of the company account admin, which allows us to make changes immediately with the additional support of the live chat functionality. We have been able to build our BigTime's framework completely customized to our company needs, and have greatly benefited from being able to use a single system for timekeeping and budget tracking on our active and completed projects. Despite its robust functionality, the reporting feature is not the most intuitive. I have found that every report we have internally needed has been possible to create within BigTime, but it takes time to find which report type will meet those needs (not all report types have all fields available). This could be painstaking, and I have required the live chat report to assist me on numerous occasions. Fortunately, the support staff is very knowledgeable when it comes to the reporting features and they have been able to assist me in building the complex reports I needed. Consider the different subscription options for BigTime. We are currently a Premier member due to the additional features, but also because the new development is focused heavily on the Premier users. Additional features are constantly being rolled out, and we are confident that they are moving in a direction that will continuously benefit our company. Prior to BigTime, we needed to combine a timekeeping software with manual Excel manipulations in order to track what we call "custom rates." For instance, a single employee may have 2 rates for a single project depending on what he/she is working on. BigTime has solved that issue for us by allowing custom rates at very specific levels (whether that is the project as a whole, the group level, or the subtask level underneath the group). This process is now full automated for us and has largely reduced our risk of human error. Additionally, BigTime has allowed us to report more frequently on project status due to the instant reporting. We can now track our budgets more frequently rather than on the weekly basis we had been doing prior to switching to BigTime. The company has been very happy with the transition ranging from the manager's need of more frequent reporting to the employee's appreciation of the clean timekeeping interface. "The BigTime workflow has greatly increased our productivity." The way BigTime collects all time entered by employees into the Work-In-Progress page helps us avoid missing any billable time. If an employee works on a project, the time is collected, and management knows to bill for it. No more guessing or relying on memory. Editing invoices once they have been "finalized" is a but clunky, particularly for lump sum invoices. We frequently bill percentages as a project progresses. The "finalized" screen does not display the information as a percentage, despite the previous screen showing everything that way. So in the event that we need to update an invoice, we usually end up needing to delete it, rather than being able to edit what we already have. Make sure you have a solid QuickBooks file before setting up BigTime. A large part of our business involves working here or there on past projects, as things change or new problems with the project, as a whole arise. Before BigTime, these items would go unbilled, because it's difficult to track time when you are spending only 15 minutes on a project to review a few simple documents. With BigTime's Work-In-Progress time capturing features, we see where every minute goes and we are reminded that those items are billable. Over the last few months have have recovered hundreds, if not thousands, of dollars from these "little" reviews of documents that would have otherwise gone unbilled. For the price- there is a lot to like with this product, The interface is simple to understand, the program is stable, and in the event there is a problem, it is addressed and remedied very quickly. Also, the customization options, for reports specifically, are also fantastic. For the price, there is not much to criticize with the product. The dashboard could include more info/be linked to reports, but while I say that, know that we are on an older version of BigTime and I believe the newer version has improved Dashboard features. It is a great deal considering the level of customization, integration (quickbooks), and support that is provided. The software seems to scale much better towards small and medium sized businesses than competing products from bigger companies such as Microsoft. The custom reporting tools have been helpful at highlighting inefficiencies within our business processes. It has saved us time and money. The support staff has been quite helpful so far. I am rolling this out to my employees tomorrow and everyone is excited to get started! It seems to be quite user friendly so far. I like the ability to restrict user access so the majority of employees can just log time and expenses without being bogged down with additional options. One thing I'd like is to be able to restrict labor codes per client. Each client has a different level of staff needed so it would be better to be able to restrict entries on the front end to not have to move the labor codes around afterwards. Great for consulting! I love the ability to customize pretty much everything. There are a lot of options that I'm still learning about. This will save a lot of time on time entries (and fixing errors). This will also speed up our invoicing workflow by a lot. Our previous system left users unable to easily see how much total time they had logged for any given week, which of course leads to a lot of errors and having to fix them later on. "Our preferred time keeping software"
I like that I can connect with Quickbooks, but also do all of my invoicing and reporting directly from BigTime. It's user friendly and the support is always helpful and quick. Sometimes we have issues reconnecting our Quickbooks with BigTime when we update our Quickbooks version. It's always been remedied quickly through the BigTime support but that is the only thing I can think of. I would highly recommend it. We are already in the process of preparing to upgrade to the newer BigTime, because we would like to stay with this company and use this software. Staff is able to enter time and expenses, it's approved, it goes into our invoicing system, an invoice is created and is sent to our accounting system. Before being on BigTime, we searched for software that was all encompassing. Very few were able to do what BigTime does, especially for the price. "user friendly and nothing is a problem for the softwares support staff"
Bigtime integrates with QBO seamlessly and you are able to set up all custom fields such as cost centers and locations for staff. User friendly for staff logging time (also available by app) and many features for admin staff around approval process for timesheets and invoicing. We have used BigTime to solve the issue we were having around employees not being happy with the ease of use of previous software and the cost to the business for a solution that we were not using all the features for. Big Time has proved to be a cost effective and easy way to monitor times allocated to projects and than be able to invoice based on these times and information. I think what I like the best is the ease of use for our employees and contractors. We have many "dinosaurs" in the construction field who are not always very computer literate. Once you spend a little time with them, they find it easy to use which makes my life alot easier too. We cannot hook up 3rd party software from our copier into BigTime. There is no way to import their information to drop onto our invoices. This is a huge piece that currently I am having to input manually and will ultimately force us to move over to another invoicing system. Take the time to do the onboarding training with them, utilize every free class. We are finally able to use BigTime as it was intended and can invoice our clients directly. When the posting of payments was working with quickbooks it made things even better as I did not have to jump between programs. I would love to see that feature working again. "BigTime support is there when I need it"
That the BigTime monitor requires the computer it's on to always have an account logged in. It will be great if the BigTime monitor was more like a service that can run in the background, because after a shutdown specially an unexpected one unless we go to that computer and log in and then start the monitor we are left unable to use Bigtime until that happens. Time tracking not only for payroll but time directly related to jobs. We can print time spent on different projects whenever the client or the user requires it. We also use it for Invoicing and by having such a smoth synchronization with QuickBooks it makes it a breeze to bill customers for the exact time we have spent on each project. We also use it for expense reports and post them to QuickBooks and then issue the checks from QuickBooks. It is simple and user friendly to use while it does all the hard stuff in the background for us. "Very informative and interactive training session with Brannon"
The energy level was kept high and questions answered efficiently without being talked over. The fact that Brannon was driving us while screen sharing vs him driving the screens helped all of us retain the material greatly. The training was very interactive, Brannon understood our needs and showed us multiple ways to accomplish what we were looking for. Overall, great job training us. We have not fully implemented or used long enough for me to be able to articulate a recommendation list at this time. We are trying to solve having a better reporting than our previous tool. Also, BigTime allows us to track multiple roles and rates within the same project that our previous tool could not accomplish. We are looking forward to ease of reporting and being able to customize our reports that could not be accomplished previously. Support bad. Chat is only available a few hours a day. When I submit tickets there is no reference to what the ticket is about, so I lose track. The chat window does not make any sounds so I sometimes forget I'm chatting. It is stuck to the browser window so if I accidentally close it I lose the chat. Support is pretty darn bad. Good thing your software is so good. "Quick solutions to technical problems"
The program is easy to use and easy to sync to Quickbooks. The few times I have had syncing issues, the technical support team was quick to respond and gave me solutions that worked! I typically work at night and it would be nice if I could chat with someone live if I'm having an issue but with that said, I'm more than happy to wait until the morning for a response. I don't expect everyone else to work at night as well :) I never have to wait long for a response either. The Architects like the program in that they can easily track their time per project so that they can better manage their projects and I like how easily the hours sync into Quickbooks. The trainer was SO knowledgeable about the product, was super flexible to answer specific questions and give high level process overview. It was apparent that she is a SUPER user with expert knowledge, she was clear, concise and excellent at showing/teaching/confirming our understanding. She was passionate and openly willing to share her expertise! The resource allocation feature only allow for hours projections, but it would be GREAT if the tool can also show the impact on costs/the budget while you are building up/adjusting resource allocations. Would make it much more useful and easy to use. Take the sales demo seriously - use that time to confirm Big Time can do what you need, and use the available resources to self-service your questions. There is so much available and it is easily searchable. We had lots of accounting/QBO integration questions, bill rate usage questions, and general invoicing process questions. Like how to enter vendor expenses, subcontractor costs, etc. "Excellent Software for time and resource management"
The added resource allocation and revenue projection feature has been a life saver. Now I can easily see which of my staffers are being over- or under-utilized and adjust hourly allocations accordingly. The support team has been great at getting me started with these new features, and helping me with getting through the learning curve quickly. The reporting ability is particularly powerful, allowing me to show my project managers how resources are being utilized on their projects. There is nothing that I have found at this point that I don't like. I do know that I need to dedicate more time to fully understand all of the features and benefits of the software, at which point I may be able to provide more a productive critique. It is an excellent product, especially at it's price point considering the extensive suite of features. I have realized increased employee productivity and the ability to understand and project where resources are being and going to be utilized early on in a project to help budgets to stay on track and to minimize burn rate. "Best Money We Have Spent in Our Business"
BigTime has been the best thing for our business. We are now able to bill much more quickly & efficiently than ever before. We are a small civil engineer firm (less than 35 employees) but we needed a innovative way to bill our clients. Our old billing computer was dated & couldn't provide us our growing firm fast enough billing turn around time. BigTime works perfectly & the using this web based program makes it so that we are able to work from our office, homes or anywhere! The ability to bill our clients quickly & efficiently has taken away all the financial stress of our billing department. I would recommend it to anyone! & Brea Phillips, our customer service success point woman is by far one of the most professional people I have worked with. & I have been with our firm for 21 years. She is always available, pleasant & totally gets our needs. The best! We have had such success with this program, that we really have zero complaints. Don't waste time with other programs. This is definitely perfect for engineering firms. We are able to bill & receive payments so much faster than we ever have. It has been the best thing that has happened for our firm. One of the more adaptable applications for time following and charging. Robust with numerous highlights others don't have. The capacity to tweak ventures, stages, undertakings, and receipt groups is the best I've seen. The representatives took to the time following component all around rapidly and experienced no difficulty changing from another application. I for one haven't discovered a lot to hate with BigTime. My solitary objection is the time it takes to run a few reports, yet it's my understanding this is being tended to with more up to date forms. It truly works for us. In the event that you need Time and cost following and occupation cost and use Quickbooks I truly trust this product is extraordinary. It is additionally many dollars less expensive than our old programming - the simplicity of online availability is extraordinary to. Extra Number of clients, Reporting, Accounting coordination with QuickBooks, remote use, time following, Knowledge base and ability by care staff including on the web visit, report building, data get to, measurements, remote use, PDF styles that can be custom fitted for every customer as important. Still getting to the point to going live; many of the features I rated we aren't using yet. We hope to in the future. Our company is just getting our people to enter time. "Responsive help staff, good features, not always intuitive UI for customization"
Very responsive assistance over Live-Chat and email. Does a good job of managing projects and time/expense entry. Invoice and report customization requires a lot of "guess and check" formatting. Names and descriptions of features require a lot of prior knowledge of specific terminology used by BigTime to use effectively. Would love more options to summarize and customize invoice formats. We tried using allocation budgets, but they were too confusing to use reliably for our organization. If switching over from another service, try to do it with as few live projects as possible. Back-entry of data was a very time-consuming process. Business problems solved: Effective budget tracking; ability to sync between project management software and QuickBooks. "BigTime is good - display screens need improvement "
It is user friendly and easy to navigate. Entering time/expenses is easy. The display screen size is way too small for the amount of information. There is SO much white space surrounding the actual information you need. If the white space was cut in half even, it would be easier to see everything necessary at one time instead of constantly having to filter or scroll through the page. I am a user and also an admin for my company. I like the capabilities i have to fix other users' errors. "Productive and efficient On-Boarding #1." Jeff Polina was as prepared and efficient as I expected him to be. It was productive that he suggested I let him move through the basics and save some time to dig into specific needs toward the end. That said, when I interjected questions and clarifications along the way, he was courteous, patient, informative....and yet managed to get us back on track. I appreciated that Jeff listened and heard my company-specific questions and concerns. Great start and I look forward to On Boarding #2 after I've dug into some testing. Nothing to dislike about the presentation. A few things about the software integration -- or lack of integration -- with QB that I dislike. Probably most significant (to me) example is the fact that Updates to Customer Contact info.in QB do not integrate (auto-update) BigTime. It is not our intent to utilize BigTime for Invoicing near term, and this issue would be a non-starter. We're solving the problem of manual entry of timesheet data into QB and addressing the need for real time review of hours against project. The granular insight into cost to provide professional services and reporting to manage resources across projects is very powerful, not just from a tactical view of capacity planning, but also strategically to provide input and focus on evaluating clients to prioritize efforts in service delivery and account management. There are some aspects of the UX that are clunky, some features are hidden in the click hierarchy. BigTime is a powerful tool for flexibly managing your professional services operation. The UX continues to be a little be clunky in some areas, but the power of the tool outweighs these issues. Trying to solve resource management, capacity planning, and client profitability. Immediate benefit is creating a focal point to be deliberate about understanding resource utilization. This has been instrumental in operation of our company, but we understand it to only be the first naive step as we come to understand how to analyze the operational data we are now collecting. Very simple to use and has dramatically improved the efficiency of our timesheet, expense and invoicing processes. Staff adoption went much smoother than anticipated. Our implementation consultant (Jeff Pollina) was extremely helpful, patient and professional. Our time to invoice and get paid have both dropped significantly. Only issue has been the responsiveness on request for improvements and bug fixes. Lack of communication on status of improvements. "Fantastic software to measure your company's time management and productivity "
Time management. I like that you are able easily see how you and your employees allocate time . Logging a short note allows you to oversee exactly what everyone is working on and bill clients with more accurate data. Also, the expense tracking feature - tracking time and expenses in one system makes it much easier for me and my company to keep track of all hours and expenses worked daily, weekly, monthly, etc. This feature is great for business trips and provides a quick solution to keeping everything you need to track and bill in one place. The app makes the product easy to access and add time or expenses from anywhere. I do wish some of the categories were easier to change by the user for creating reports, but this is easily done by contacting the BigTime customer service reps who can assist you with anything you need assistance doing. 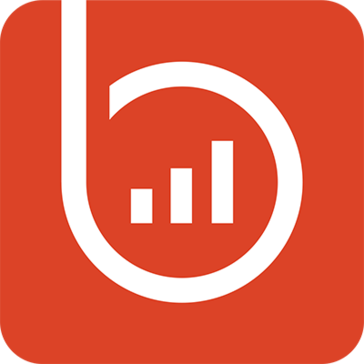 If you are looking for a easy software to use to track time, expenses, project management and overall productivity, I highly recommend using BigTime. It easily integrates with QuickBooks, which makes it an optimal solution for employers. BigTime allows my company to keep track of employee productivity whether employees are working in the office, traveling or working remotely. The customer support team responds quickly and is always able to help solve whatever issues I've had arise. Employee productivity! Since incorporating BigTime, our productivity has increased immensely. Once employees started to keep track of their time on each project they were working on, they were able to restructure their time on certain tasks and increase their overall efficiency. This has helped me and other employees to further understand where we are spending our time while balancing multiple roles and/or projects. Additionally, it holds everyone accountable for putting in their hours towards the company's success. "Functional and able to be tailored to any business"
I like the ability to clock time in a number of different ways. I like the WIP reporting. I like the connection with QuickBooks. I wish it had a field that I could search and select clients from the dashboard instead of having to click on the "Clients" under "My Company". I think the Workflow tab can get a little cluttered as well. Try the free trial and schedule a test drive. We quickly transferred 100% of our timekeeping, billing, and project management to BT. We are able to more seamlessly clock time, see our WIP, and produce our bills! We are much more efficient now! I like that we can make this system as simple or detailed as we want, drop down boxes and automation maximize our efficiency in the office. It's a one stop shop. I especially love the timer because I was underestimating the time it was taking to perform certain tasks prior to. Downsides...um none. There's no downside to trying this software! It has worked so well for our accounting firm! Try it! It will definitely save you time. Multiple software is combined into one system. Saving time on time entry, maximizing billing opportunities, office organization, generating reports to stay on track. Some of the reports and the fact that the terms variates in the software. I have not found a way to see the expenses after approval in order to make the reimbursement to the employees. After the approval I have to go and see at the expenses per employee in order to look for amounts to reimburse during certain period. The only thing missing is to compare actuals vs estimates (allocations) for updating budget purposes. We solve the issue of keeping excel spreadsheets to keet track of timesheets and budget. Also with allocations we solve the problem of knowing employees availability during certain time period. I like that is cloud based so multiple users can use at the same time. Reports seem to have the ability to be customized however I'm fairly new so I haven't figured out all the ways to do it yet. It syncs with QB which is a nice feature for sending out the final invoice. Invoicing. It seems like fields that have been entered sometimes revert back to a default and it can be frustrating to have to go back and redo. Customer support is slow, you generally have to leave a message and then it gets returned some time later both when phoning in or try to chat on the website. Multiple users can use at once. The report features once I learn how to customize a bit better. I love that I can ask Big Time Support a question and get a quick and accurate repsonse. It is really important that I get quick answers because I am usually working on that item at the time. I also love that we can have a discussion to make sure I am clear on my request and they are clear with their answers. I dislike that I can't "void" an invoice. For example, we created an invoice that the time really needed to be put back in to WIP but we wanted to still see the original invoice that was created. Or at least have a report that will show deleted invoices and who deleted them. Time tracking is key. Having Big Time has helped our Project Managers really see how they are tracking their time and sticking to their budget. "Intuitive product with great support"
We have looked into other products, tested them and even started with a few others. So far BigTime has delivered on all the aspects we had been hoping for. A very intuitive platform, customizable and their support thus far has been great! We are into our first month and only have had minor issues that have been addressed by support, or are being looked at for future enhancements to the software. We are getting real time info to our Project Managers, time sheet entry is becoming easier and more consistent for all staff, and we look forward to more benefits as we continue. "BigTime Keeps Us Organized and On The Move"
I love the remote access for sub contractors and remote employees and the fact that it easily syncs with quickbooks, ensuring that our billings to all clients are accurate and timely. I really wish that there was an option to create a vendor bill in QB using subcontractor time. Typically I turn around and pay each subcontractor for the time logged. It would be nice to create the bill automatically with job costing automatically applied on the vendor side. This app will save you time and keep you organized. You should take the time to set it up correctly and develop proper procedures. You will bill more and keep your projects on task! Remote staff/subcontract management, automation of time keeping process. "Simple and elegant design, without compromising on quality of reporting capabilities! " Time utilization tracking and simplicity of interface. Ty Sank was my account manager, and he is extremely helpful, responsive, and willing to go the extra mile to help customize my invoice template to the exact layout I needed, even before we signed on the line. He did not use a cookie-cutter sales pitch with me, and I appreciated dealing with a real human being who was able to deliver a quality product for our specialized needs! Requires integration with QB before it could populate sales tax information. Some of the terms used in the program also required a bit of getting used to because my industry uses different different terminology. If you have a company that does not use QB Online, that might be a bit problematic, as it'll require manual coding in the back end to get information such as tax rates etc. Big Time also glitches with several browsers, and doesn't let us select date ranges. But there are workarounds, and I now use Edge only when it is time to do invoicing and select date ranges. Ability to analyze timesheet for profit margins, time utilization, business projects, easy invoicing with ability to move time around, doing timesheets on the go.... the list is never ending! "Good for simple time tracking "
- Straightforward design is easy to understand and input hours. When it comes to inputting hours and expenses, it gets the job done quickly and efficiently. - Timer option allows users to track minutes spent on tasks in real-time, and this is automatically recorded on the timesheet. - The site crashes occasionally, though that may be a browser issue. - The user experience takes a bit of time to get used to, but once the user becomes familiar with it this isn't a problem. Put time into training employees how to use the platform to ensure that they understand the interface. We are able to better understand how much time is spent on each client, which is input into our client service reports. This way, we can identify areas where we are spending too much time, and others where we need to devote more hours. "Customer Service at its Finest"
Anytime I need help or have a question I am always able to reach someone immediately. The invoice part of the app is not available for use at this moment. I highly recommend Bigtime for any company needing to track the time and expenses required for a task or project. Their integration tools allow Bigtime to work with multiple apps. You can always control the access that employees or consultants have. This is a great tool for growing companies! We are able to better manage our project goals and deadlines by using the Bigtime app for reporting. We are able to properly track the time and expenses related to each project. * We monitor all BigTime reviews to prevent fraudulent reviews and keep review quality high. We do not post reviews by company employees or direct competitors. Validated reviews require the user to submit a screenshot of the product containing their user ID, in order to verify a user is an actual user of the product. Hi there! Are you looking to implement a solution like BigTime?